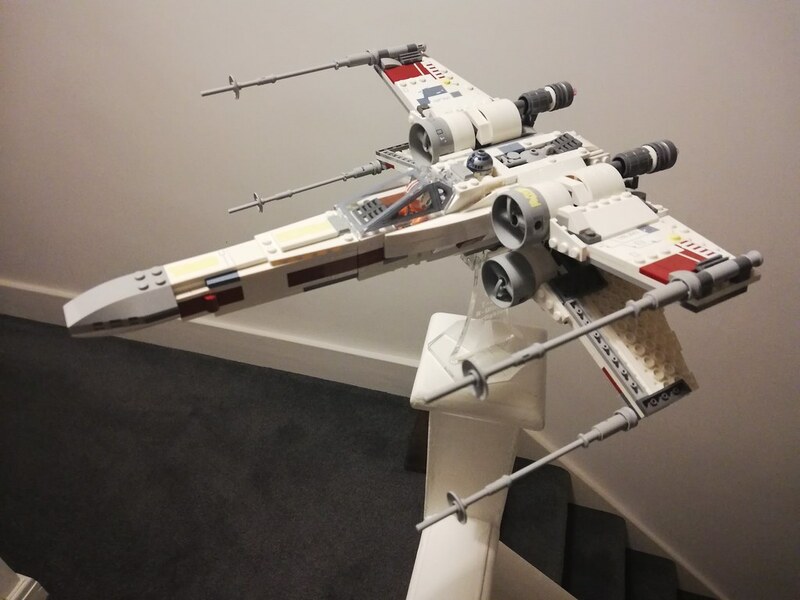 Edit - The finished X-Wing MOD with no internal structural changes (removing 2 layers of plates around the lever is the biggest job) so what you can see is a cheap and easily added set of cosmetic updates. 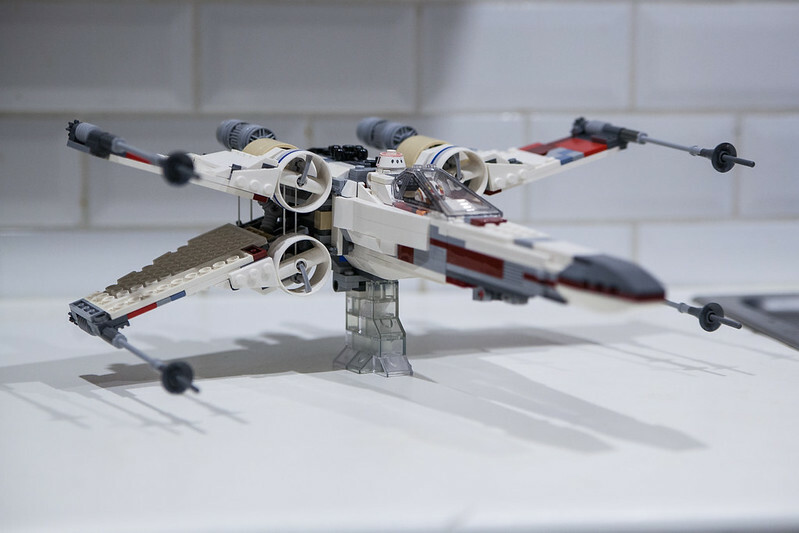 Original post- My kids bought me the new X-Wing for Christmas, they’re the best! I’ve wanted one in Lego form since I was a kid and hung on to the idea of a new set since I got back into Lego five years ago. 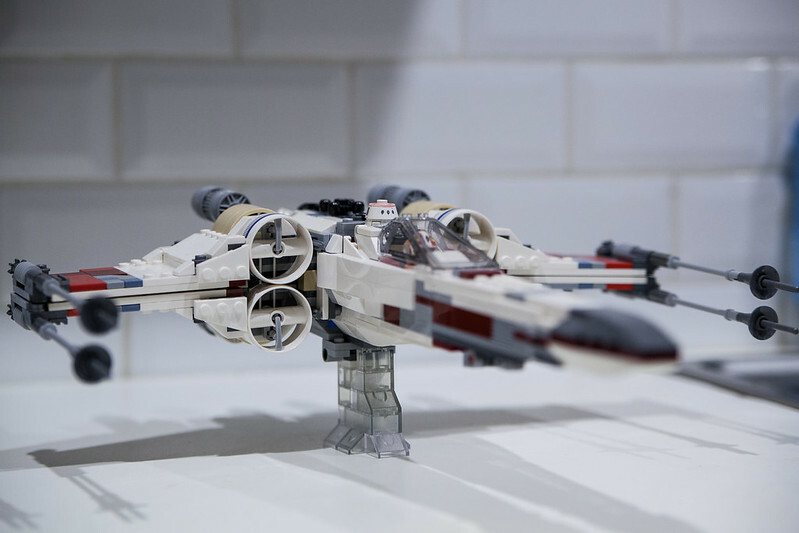 Initially I was disappointed with how this set looked due to that ugly lever on top and similarities to Poe’s X-Wing. However, I recently saw a friend’s set and between us we worked out a few easy mods to improve things on a budget. Starting at the front we added a few plates to the nose to combat how flat the top looks, then added dishes and pins to the laser tips, also replacing the blue pins inside the roots with with black pins plus 4L lightsaber bars to reduce wobble. We added landing gear and a couple of modified plates either side of R2 to box him in. Most significantly took part of the S-Fool lever off and added a removable lid with some detail. I was thinking of adding internal gears connecting to a handle at the back but I really like that rear greebling so for now the lid comes off to to open and close the S-Foils. Bricklinking the extra parts costed about £6 including delivery, the skids for the landing gear weren’t common but cheap enough as used parts. Hope you like it and happy modding in 2019! If I may suggest something, the single biggest issue of this set is how the engines' front edges are flush with the wing leading edges. This is totally wrong and I am not sure why did LEGO designers do that. If you manage to fix this, you will do a great step forward with this model. What you did with landing gear is good, especially the way you hid rear landing struts. Simple yet effective! I see what you mean about the engines. We deliberately didn’t do research for the mod, it was mostly about fixing the lever and avoiding any structural rebuild or expensive parts. Now you’ve mentioned it I’ll think hard about the engines, if there’s a simple and strong fix I’ll do it! 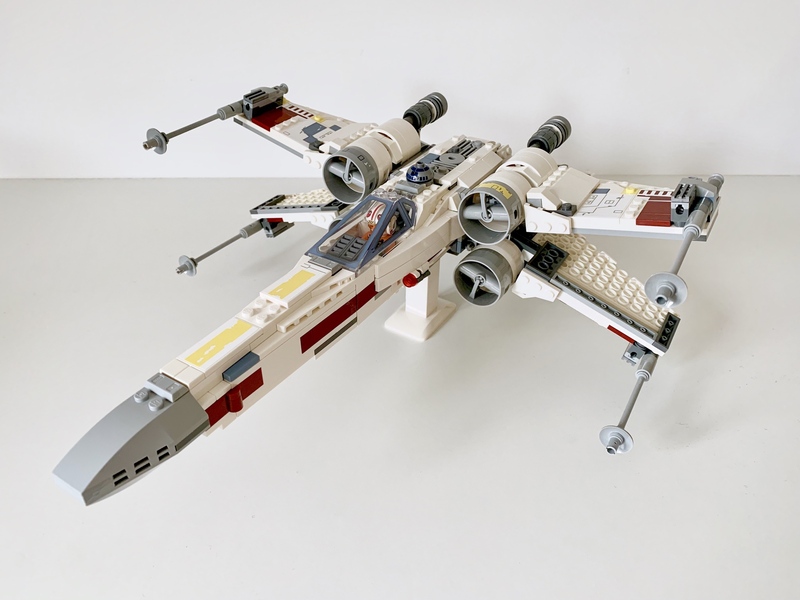 The set is far from perfect but despite shortcomings like the engines I think it captures the look of the X-Wing really well. I've done a lot of mods to this set, but I'd never even noticed the engine issue before! That's a little job for the morning! May i suggest trying to make the wings two plates thick instead of three? i did it to mine, it’s easy and the ship looks a lot less bulky like this. you can also remove those uggly launchers on the wings in the same idea of having it more sleak. 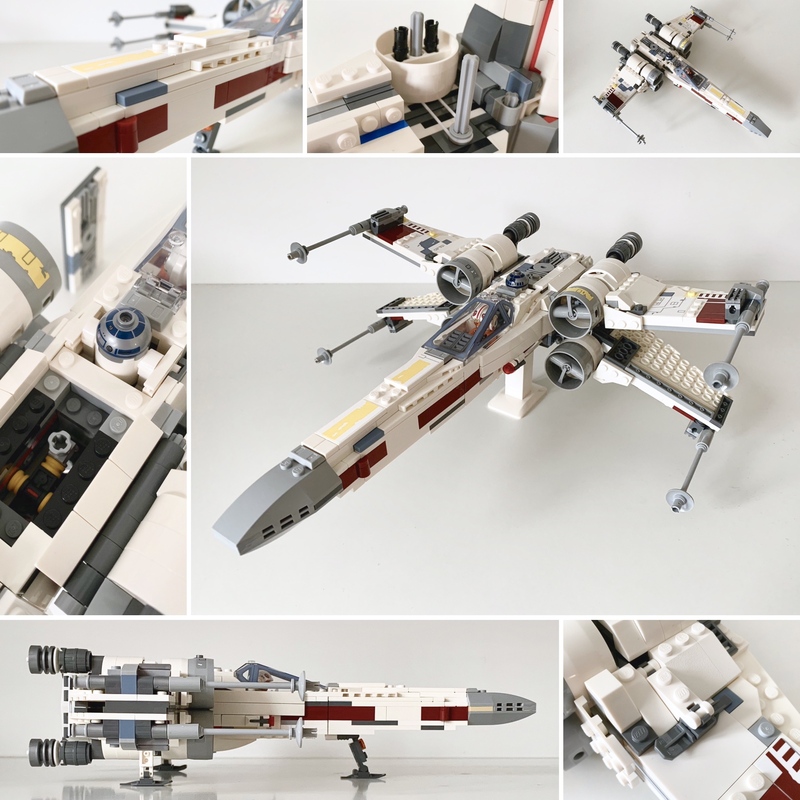 Could i ask you for the bricklink reference for the skid part? Both have one stud exposed so you can add a modified 1x1 plate with clip! Nice mod. :) I forget how much they cost, but the sai dagger accessory makes a nice alternative to dishes for the blaster tips. I find the best way to attach them is with a 1x1 cone and a 1x1 stud with a hole. They're not quite as big as the actual thing, but they have the three-pronged shape without being really bulky. Lfm55, you’re welcome! And I really like your mod, the engines look superb! I’m trying to keep my own mods simple though, surface additions only where I can, whatever is easiest to replicate from simple photos. I'd never even noticed this until you pointed it out. Sorted it now. Wow, that’s perfect! I’m definitely doing that too, brilliant job. How do the grey front jnstakes stay straight, just friction? There are technic 1/2 pins on the inside of the cylinders with 1x3 plates which keep them aligned. These mods are looking great! Keep up the good work. Thanks bud! Those gaps in the bar within the cylinder are such a weird shape it took me a while to work out which piece fit snugly, your post got me to the finish line. Just Bricklinked the parts, looking forward to having proper engines. Great stand by the way! Thanks for the pointers about the engines! Just finished adding to my own and they look so much better, it’s a fairly easy addition but illegal with the black pins I’ve used to hold my grey cylinders straight. Ah well, take me to court! Ah well, take me to court! You are hereby sentenced to a 50m LEGO "walk of fire" consisting of 55704 only. May the odds be ever in your favor. Wow the engines mod makes it look so much better! Thanks! Big thanks to Jerac and Richpepperall for the engine advice. And yep, I’ll take the walk of fire! Mcphatty, great work on these mods! I ordered some parts based on your Stud.io file, but I don't understand how the 7L axles fit, or where the 3x3 discs go. The middle parts of each engine don't have holes for the axle to pass through. Any further direction would be much appreciated! Super helpful, man. *BUT* I'm still not quite seeing where all the extra length of the 7L axle goes, because when I initially slot it into the technic 1x2 brick, then follow it with all the things shown in your video, it still leaves about an inch of length sticking out. Maybe I have something longer than a 7L axle? Screenshot shows what I ordered on bricklink! Seems like the axle should go back farther into the engine, but those funny white spoked half cylinders the set uses for the back half of each engine have nowhere for an axle to pass through. Call me confused! Thanks again for the help!! Ah mate I’m really, really sorry, I think I made a mistake, the axle might need to be a 5L instead of 7! Have you got one you can try? 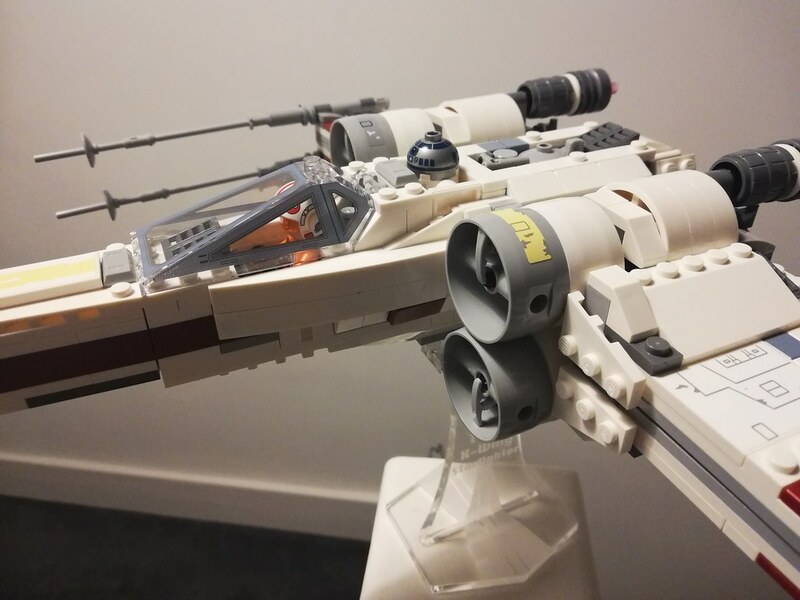 I’m at work now so can’t check my X-Wing, I’ll check and change my parts list tonight, sorry again for wasting your time and money.